Reversible jaws provide an extra set of jaws. 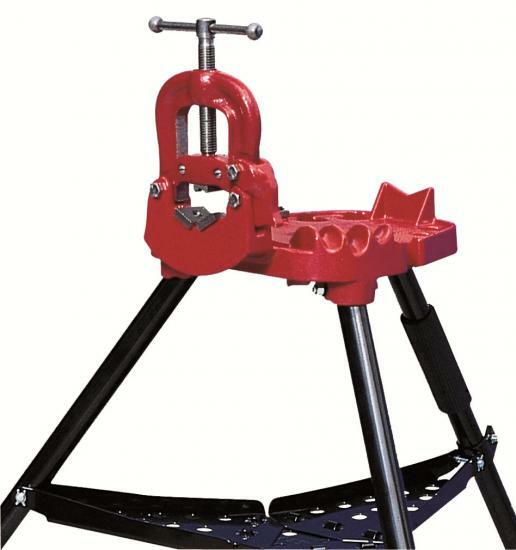 R40+ features a 2 1/2” capacity yoke vise. Yoke pipe vises offer the strongest hold.